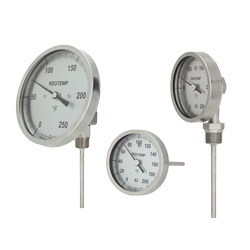 REOTEMP’s Bimetallic(Bimetal) Thermometers are reliable and accurate temperature sensors requiring no electricity or wiring. 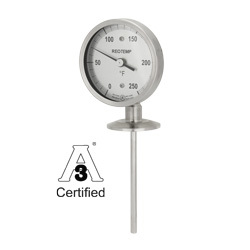 Bimetal thermometers are ideal for local, eye-level temperature readings in most process applications. 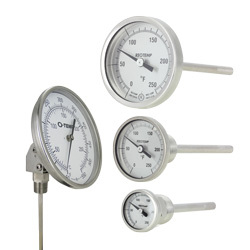 They can be recalibrated with a turn of the calibration screw on the back of the dial. 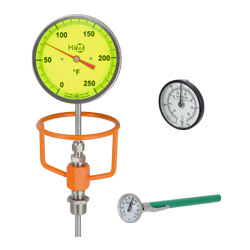 A variety of options are available for your specific process needs.